Donald Trump has singled out many people during his campaign, but none have remained a target in Trump’s eyes and Twitter feed quite like Fox News anchor Megyn Kelly. Trump’s issue with Kelly exploded after the first Republican debate, when Kelly understandably called Trump out on his long-winded history of sexist, misogynistic comments toward women. Trump, being the abrasive a**hole that he is, blew the incident way out of proportion and continued to slam Kelly both on and off Twitter for weeks after the debate. Now Kelly is speaking out against Trump, claiming that the business mogul had actually tried to “woo” her in some incredibly creepy ways – which may have influenced why he was so bitter when she called him out. 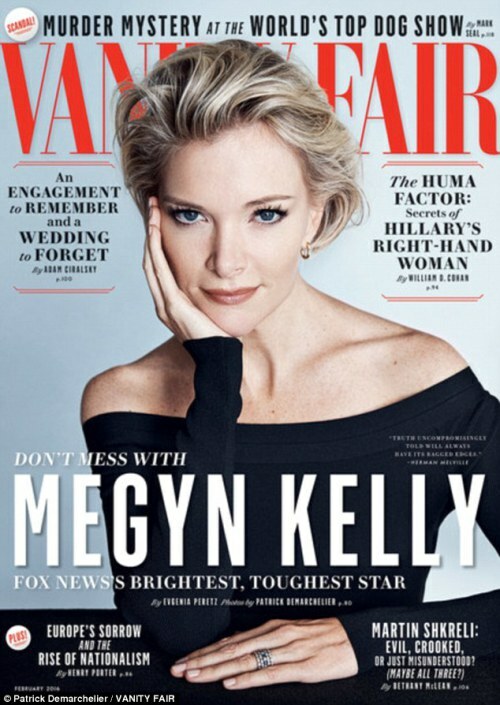 Kelly also opened up about Trump’s bitter exchange with her at the first GOP debate. Revealing that she had actually been quite ill the morning of the debate, the married mother-of-three said she had a blanket and a bucket to throw up in under her desk during the debate. She was worried that if she’d called in sick, the tough questions she prepared for the candidates wouldn’t have been asked. “Your Twitter account has several disparaging comments about womens’ looks. You once told a contestant on celebrity apprentice that it would be a pretty picture to see her on her knees. It was one of the most reported moments from the debate, and Kelly received attacks from both Trump AND his loyal followers for holding him accountable. Trump lovers sent her death threats, called her a “c–t” and a “hag” on social media – even Trump’s top deputy retweeted “gut her.” Trump was especially immature about the situation, and he took his disdain for being confronted to new heights when he told CNN’s Don Lemon that Kelly had “blood coming out of her eyes. Blood coming out of her – wherever.” Then, the Republican frontrunner threatened to boycott Fox and continued to diss Kelly for weeks after the debate – only further proving her point about Trump’s misogyny.